Oprah speaks wisely about all the blessings that surround us. Feng Shui, utilizes your positive connection to your environment to help clear the way for blessings to enter your life. What better time to celebrate your blessings than at Thanksgiving, which is a time when people gather with friends and families to share love and feelings of gratitude. Your home is a vessel for all these good feelings, therefore the more harmonious, and welcoming you make it the more you let the blessings in. As we begin to plan for entertaining it’s important to also to prepare your home’s Feng Shui energy. Preparing a home for holidays implies a clean home with a fresh energy, so clearing clutter and cleaning will be the desired initial Feng Shui steps. The following steps include enhancing the areas using the Bagua, and having a balance of the 5 Feng Shui elements: Water, Wood, Fire, Earth and Metal. Thanksgiving is represented by the Earth Feng Shui element, or the earth bounty. The element Earth is represented by shades of yellows, ceramics and rectangular shapes. In Feng Shui, as in nature, each element is enhanced by a supporting element. Earth is enhanced by the Fire element represented by shades of red, cone shapes and representations of animals, people or fire. An example of combining the two elements is using candles as the fire element, and a variety of earthenware containers as earth element. All of these as part of your home’s décor will bring positive Feng Shui energy to your Thanksgiving and strengthen the feelings of being grounded with family and friends. These gatherings usually take place in the dining room around a bounty of food, good will and laughter. Our dining rooms become our oasis where we nourish and renew our bodies, hearts and spirits. Since the dining room plays a key role in sharing your Thanksgiving meal and sharing your blessings, and there are a few enhancement that help make your dining experience a pleasant one. There are also a few things that are NOT recommended for enjoyable dining. · Ensure safety by making sure that there are no sharp edges on the table or chairs. Soften sharp edges glass tables with cloths or table runners. Round and oval tables are more Feng Shui friendly. · Make sure your dining area is defined enough to have its own identity; screens, plants, lighting, area rugs and furniture placement can help define the space. · Mirrors, especially large ones, can over activate a room meant to be tranquil, and make your guests uncomfortable. If possible, avoid mirrors in dining rooms, or break the reflection with plants, screens, candles, vases etc. 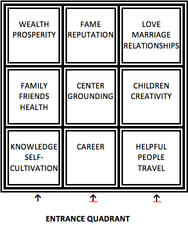 The Feng Shui Bagua (Ba-gua) Map, is represented as a grid of nine sectors. The Bagua comes from the Chinese philosophy, “The I Ching,” and literally means “eight trigrams”, with the center being for centering and grounding. * Art representing wealth such as luxurious vacation spots, stunning architectural homes etc. * This is an auspicious location for the dining room because food is associated with the Earth Element. Feng Shui enhancements do not have to cost a great deal. Decorating with a few red or orange candles, small pumpkins on gold placemats begins to move the energy needed for the grounding of Thanksgiving. Make your home welcoming through the scents of cooking and baking and watch the energy shift. Your dining room represents the nurturing of all aspects of your life. Once you have enhanced the space enjoy a great meal and express gratitude for all your blessings. HAPPY THANKSGIVING! I wish you many Feng Shui Blessings. Maria McCullough, a Benicia resident, is the owner / founder of Feng Shui by Maria and is a speaker and educator with over 20 years of experience. 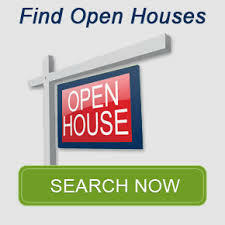 She specializes in residential, landscape and business consultations. She is a graduate of the Western School of Feng Shui and has personally trained with Terah Kathryn Collins, founder of the Western School of Feng Shui, specializing in Essential Feng Shui® and author of numerous books including The Western Guide to Feng Shui. For questions or home consultations email at [email protected] and put “Feng Shui” on the subject line, or visit my website at www.fengshuibymaria.com, or Facebook “Feng Shui by Maria”, where I post pictures as examples to enhancements. Check out my Blog – Just go to the website and click on “Blog.” You can view many pictures and I will respond to your questions quickly.